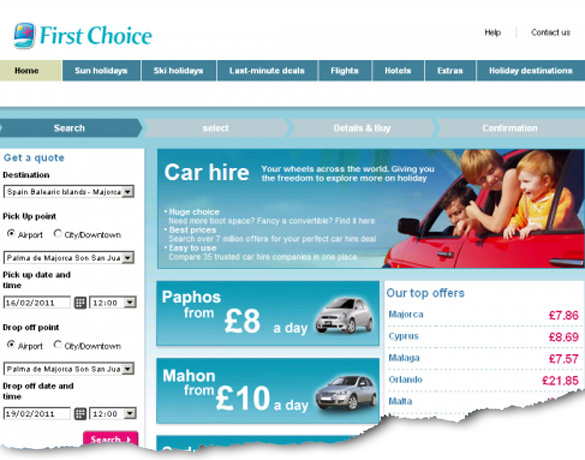 First Choice holidays approached us regarding their new holiday car hire website. They were interested in achieving a high ranking for their site. Due to the restrictions regarding security we emailed our recommended site changes to them and they updated the website accordingly. The site also needed numerous backward links set up for it, so we embarked upon a large links campaign for the client.